We live in a world where more than ever the race toward the atomic bomb has increased. And, with this, also the tension between the main international actors. In the last few decades the relationship among Russia and the European Union has risen, almost to the level of the Cold War, and also other States are racing to obtain the lethal weapon that seems to be the only way to be considered a Great Power in the current world. What concerns the most is, indeed, not only the increased aggressiveness of the Russian neighbor, but also the capability of some of the most radical countries, e.g. 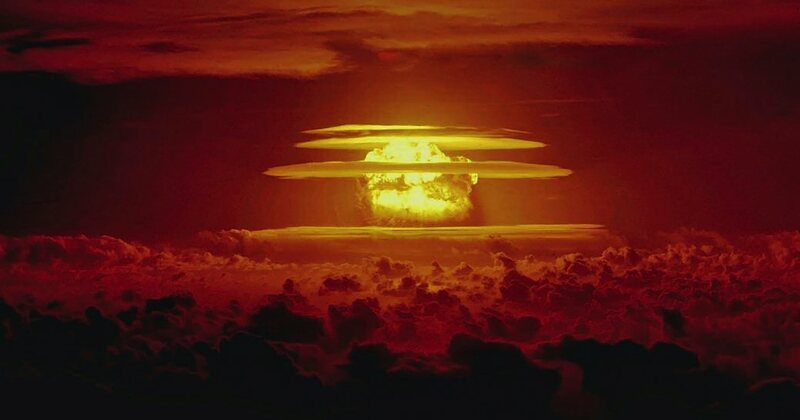 North Korea, Pakistan, and possibly – in the near future – Iran, to exercise the atomic threat to their enemies, and consequently breaking out a holocaustic atomic world war. Currently, is not possible to know the exact amount of atomic weapons in the world, but it’s been estimated that there are almost 15,000 warheads throughout the world, the majority of which belong to the United States and Russia. One of the most concerning fact is that the main European States not only support this atomic program but, within the NATO’s framework, also host in their territory nuclear weapons: this is the case of Belgium, Germany, Italy, Netherlands and Turkey. Israel: the country has adopted an ambiguous policy regarding its atomic power, not sharing with the others any information about the Israeli atomic plan or about the amount of warheads it has built. North Korea: is one of the most-watched States, especially in the latest years. Since Kim Jon-un took power in 2011, the international media focused on the Korean leader’s choices to continue his father’s atomic program and increase the threat toward the western States – especially the USA- which is considered by the communist ideology that leads the country main enemy of the Communist North Korea. Among the five States above mentioned, the North Korea case is the one considered most dangerous, not just for its potential threat – in the last years it has been reported that there have been several missiles tests ended successfully and it is believed that they can actually attack the US territory; the Korean government also affirms that the country has developed a hydrogen bomb. Only in April 2018 North Korea said it would stop any further test since they stated that their capability “has been verified”. The international opinion often looks with anxiousness at the development of the nuclear option in North Korea, and the major heads of States too. The Asian state is one of the most isolated of the world, even though it has a historical ally in its Chinese neighbor. In the last months it seemed that there was room for a more opened approach towards the so much hated western civilization: the milestone video of the two Korean Presidents handshaking and crossing once the South and later the North Korean border seemed to everyone as a great step forward to a possible common future for the two States. Furthermore, there has been a partial change of attitude by the Korean government also toward what was considered its greatest foe, the USA. On February, the two leaders met each other at an international conference and, at the end of it, a public statement was released on which it was affirmed vaguely that the two countries, in accordance with South Korean leader Moon Jae-in, are cooperating in order to have a “denuclearized Asia” in the future. Even though this premise very promising, in practice North Korea hasn’t agreed to stop its atomic programs, while on the other hand Trump declared that the American military exercises in South Korea would end. The Korean leader Kim Jon-un allowed the destruction of one of the most important missile test centre in his country. Both this concessions haven’t been put into the final declaration, raising doubts regarding their effectiveness and the capability of the two leaders to maintain their promises. Another great threat to the world stability has been Iran’s program about the development, within its borders, of enriched uranium, one of the first steps that bring to the creation of the atomic bomb. Iran choice to pursue this kind of program has caused him a lot of sanctions and condemnation by the international world – mainly within the UN, where several sanctions have been approved during the years. The fear toward Iran is not only due to the potential threat it may represent, but mainly because of the consequences it may have in a regional scale: if such program would be accepted by the main international political subjects and implemented, it would cause a “race to the atomic bomb” among its neighbor, and worsen the balance in one of the most unstable area in the world. During the Obama administration the USA have pushed toward the creation of a Agreement regarding the nuclear power in Iran, which included the possibility of IAEA ’s inspection in loco in order to monitor the progression of the developments and, mainly, that the atomic power would have been used only for pacific goals. The agreement was approved by the Security Counsel of the UN, and was considered one of the most important achievements of President Obama’s presidency, but with the Trump administration the approach changed. The new president has always been very critical toward the Agreement and when he was elected affirmed the USA would step back from the forum. This decision froze the agreement process but did not introduce an alternative way to deal with the issue: as President Trump affirmed, “there would be no plan B”. What are the consequence for the International System? Both the North Korean and the Iran case show how there isn’t a systematic way to upfront the atomic issue, and that political initiatives are subject to the passage of time and to national influences – such as the change of a President. This gives a lot of maneuver space to those who want to increase their power in the international landscape by developing the atomic option. At the same time, it becomes more and more difficult for the other States to control and contain such power aspirations, mainly because of the inconsistent behaviour of the most powerful States. The American policy is an example of such attitude: even the achievements obtained in the North Korean case seem more due to a national and contingent interest than to a global and comprehensive plan stipulated with their allies. This brings uncertainty in the relations between the countries and, moreover, is a danger for the international stability. Furthermore, it seems quite a contradiction that the main actors who are concerned about the evolution of the atomic power are the ones with most atomic warheads in the world: their credibility in the matter inevitably they loose credibility. A more mature and concerted approach is desirable, in particular regarding not only the control of the existing warheads and atomic power programs, but also reduce the amount of the warheads even among the most powerful States and develop a more responsible and coherent way to address the matter. Previous post Fake news: do we need a supervisor organ or a self regulatory code for media giants?